Sri Lanka and England want to win the second match of the five-match series because the first match was interrupted by rain. 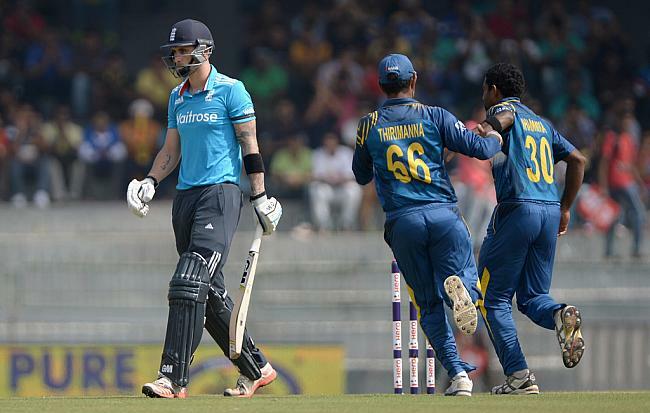 2nd ODI of England and Sri Lanka series will be held on Saturday, October 13 at the Ramgiri Dambulla International Stadium. The two teams have played against each other in 71 ODI matches so far. Sri Lanka has won 34 times and England has won 33 Times, one match was tied and the two matches were finished without any result. Despite this two teams are wandering for their 2nd ODI. However, due to the possibility of rain in Dambulla on Saturday, the second one day could be interrupted. following the washout in the 1st ODI on Wednesday after just 15 overs of play where possible, if the 2nd ODI is interrupted on Saturday then it will be played on the Reserve day October 14th. it is clear from the fact that England has been preparing for the world cup in this 5 series match with Sri Lanka, so we can see some unexpected changes in their original squad. And a reflection of what we see in the first match Allen stone and Liam Dawson made a positive impact on Englands team. So England lineup seems clearly elaborating their strategy and giving them a chance to prove their worth in the squad in the second match. Jonny Bairstow and Jason Roy will once again look into getting laid off to a solid start after passing 1000 ODI runs together in the calendar year during their partnership of 49 in the opening game of the series. So it is hoped that they can open for England in the 2nd ODI also. The opening pair is dismissed by 5 balls distance so it is hoped that they can return to the second match in a more difficult way. Roots are now quite a good form and he showed good performance against India. In the series against India Morgan played well and achieve two half-centuries. The England team is there for relying on this to experienced players and it is hoped that they will survive in the middle part of the game and till the end, if they are able to do it then England can achieve a good result. England bowlers went unused in the first game and their spin duo Moeen Ali and Adil Rashid will eager to get used in the second fixture, Ali took 2 wickets in the warm-up game and has 15 in his last 10 ODI. England fast bowler Chris wakes and mark wood are preparing themselves so that they can demolish the Sri Lankan batsman. 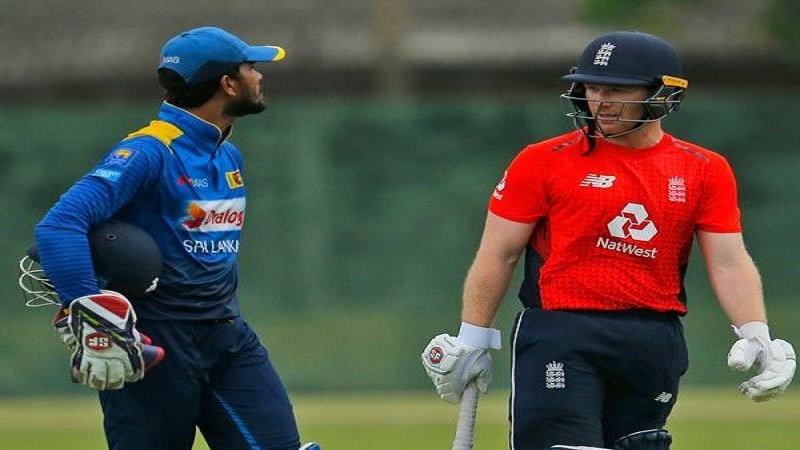 England cricket team is now going through a change so it is not sure that the absence of Mathews in Sri Lanka team and the captaincy of Dinesh Chandimal will be beneficiary or loss for Sri Lanka. But it should be kept in mind that England has not been able to adapt itself to this new environment so far and they have not had much time for this. So there is a great opportunity for Sri Lanka to give England a tough fight. Apart from Matthew Hayden Sri Lanka has to keep an eye on his batting line up, Upul Tharanga Kushal Perera will start with Sri Lanka in the new line up. Tharanga has scored the highest number of runs for the team in this current squad and is leaving the chat with 6936 runs TereRaha was amongst the leading run-getters in the previous home series against South Africa with 179 runs. This two along with Niroshan Dickwella need to shoulder the responsibility of preparing the team towards a competitive total. Perera has played well for Sri Lanka so far and has taken 19 wickets in the last 10 ODI series. So it is expected that Perera will be very harmful to England in the home series. But in the first ODI Nuwan Pradip and Akila Dhananjay were able to take wickets for Sri Lanka. And they both are going to be there key options in 2nd ODI. Expected England Playing XI: Eoin Morgan (C), Adil Rashid, Jos Buttler, Jonny Bairstow, Jason Roy, Ben Stokes, Liam Dawson or Sam Curran, Chris Woakes, Moeen Ali, Joe Root and Olly Stone. Expected sri Lanka Playing XI: Dinesh Chandimal (C), Nuwan Pradeep, Dhananjaya de Silva, Niroshan Dickwella, Kusal Perera, Dasun Shanaka, Akila Dananjaya, Lakshan Sandakan, Lasith Malinga, Upul Tharanga and Thisara Perera. A lot of thanks for each of your hard work on this web site. Debby delights in working on investigation and it is simple to grasp why. A lot of people hear all regarding the powerful mode you deliver very helpful thoughts through this web site and even recommend contribution from website visitors on that subject so my girl is now studying a great deal. Take advantage of the remaining portion of the year. You have been performing a glorious job. smartly as with the layout for your blog. Is that this a paid theme or did you customize it yourself? Either way keep up the nice quality writing, it is uncommon to peer a great weblog like this one nowadays..
you are just extremely fantastic. I actually like what you’ve bought right here, really like what you’re saying and the way through which you assert it. For latest news you have to visit the web and on web I found this web site as a best website for hottest updates.